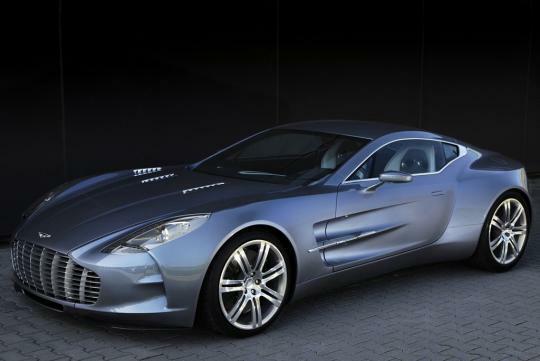 If the Bugatti Veyron was the limits for an automobile, the Aston Martin One-77 - no doubt is the pinnacle of engineering for Aston Martin. Like its other stablemates it's not the fastest or most powerful. But it is definitely the better looking 'supercar' when compared to the likes of Ferrari F12berlinetta or Lamborghini Aventador. Never in the intentions to crash the supercar party, the �1.2 million (S$2.37 million at current rates) One-77 is an avantgarde automobile that features the best craftsmanship the British marque could offer, built from exquisite materials and a styling language that only Michelangelo could replicate. Initially Aston Martin was reluctant to let any publication to test the car which has been in production since around the periods of 2009/10 until now, courtesy of EVO magazine and a wealthy Middle-Eastern owner (judging by the number plate) who was willing to lend his car.